This is going to be an extension of a video I posted on our Youtube page earlier this week. 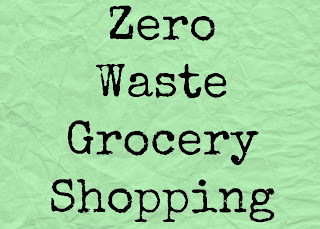 Today, I wanted to talk about tips for zero waste grocery shopping. Lately, I have been obsessed with reducing my waste. After quick analyses of where my household's waste was coming from, I discovered that most of it was from grocery shopping and food waste. I made a few changes and noticed a HUGE difference! This is the first step most people take. It may take time, to figure out how many you need for your family. No worries, most stores sell these near the checkout are. If you find that you don't have enough bags just purchase one at the store or use a paper bag. 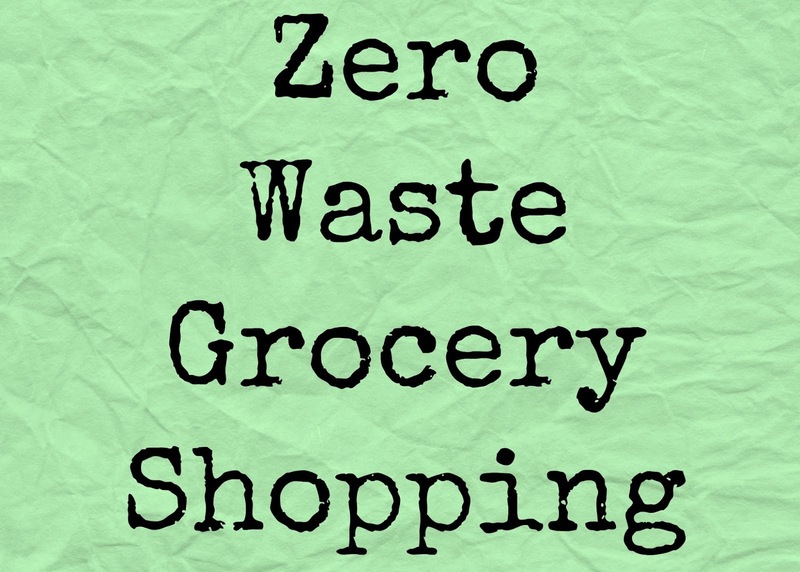 For my husband and I, we use about 4 reusable bags for our grocery haul every two weeks. TIP!! Keep your reusable bags in the car or next to the door so you will not forget them. If you eat a lot of fresh produce, like we do, then you will get so much use out of these! I have two different kinds one is all canvas and the other is a mesh material. You can also use these for the bulk section if you do not want to bring your jars to the store. If you have a bulk store near you, you may have noticed that people will bring mason jars to the store and refill them. This is really awesome to reduce the amount of packing you throw away. By doing this, you are basically taking out the packing completely! Make sure you weigh your jar before filling it, so you know what the tare weight is. TIP!! Buy a reusable wine bag to carry your jars in. This will help keep everything organized. Sometimes it is unavoidable and you have to purchase something prepacked. In this case, make sure you are purchasing items that are packaged matrieals. You want to compeltely avoid plastic, instead go for items packaged in metal, glass, paper, or wood. Another way to forgot the packing is to make it at home. I make bread, pickles, pasta sauce and some condiments at home. Not only is this better for you, it cuts out a lot of plastic.